I practice within the overarching ethos of Person-Centred Psychotherapy which is my primary model. If our work is time-limited we will collaborate in identifying a desirable outcome to work towards. Where issues are primarily concerning relationship with self and others I might integrate concepts from Transactional Analysis for deep insight, change and growth. If stress, anxiety and/or trauma are extreme and problematic I will also offer coping strategies from CBT. Where there is an enduring depressive process our avenues of exploration may be informed by Psycho-dynamic and/or attachment theory towards greater understanding, breaking unwanted patterns of behaviour and towards greater personal choice. Regardless of the presenting issue, it will be yourself, the client who is invited to collaborate in the way that we address our work together and within this I hope that you will feel heard, valued, understood and supported in finding your own way, to be with, or to journey through and onwards. 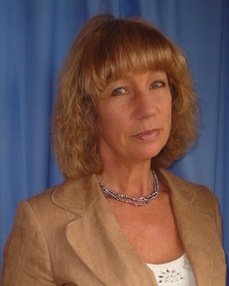 As a supervisor, to be alongside supervisees in reviewing, maintaining, safeguarding and developing client work within the context of their personal and professional development, the organisational and cultural setting and with understanding of, and integration into practice of, the BACP Ethical Framework for the Counselling Professions, as well as, and in relation to, the Criminal Justice System. I offer supervisory support to Students in training, individual practitioners and groups. Where required, I am happy to collaborate with an Organisation in establishing a specific work role contract.